There's enough core talent to do something interesting and I am sure you will do something interesting. Looking forward to it. I appreciate those words a lot, dude! This time period in Impact is one of the options I was thinking about with possibly a new diary. Would you be mad at me? Wouldn't wanna steal your thunder by any means! It's either Impact or something CV because screw trying to book and write for WWE! Nonetheless, looking forward to the first show! Comments: This will be a tough match but Yung somehow pulls out the win. Comments: Never been a fan of Rich Swann. Comments: LAX is a pretty good team. Comments: Aries has a lot of personal issues where I cannot root for him. Looking forward to seeing what happens here. I hope you are able to sign a few talented wrestlers from the independent scene. Drago coming back would be fun. I would be perfectly fine with anything you'd write, even it is Impact, the more the merrier! 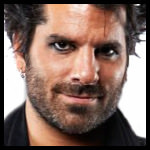 Jimmy Jacobs appears on the ramp! Jacobs, who's in a neck brace, says that Johnny Impact should slow his roll for a few minutes. Jacobs says that Kongo Kong will be here in due time, specifically next week. 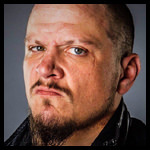 Jacobs says that Kongo Kong will specifically be here next week to face Johnny Impact! 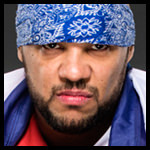 Impact says that he's perfectly fine with that and is ready to send Kongo Kong to slam town! Jacobs interrupts and says that there's a catch. Next week won't be a normal match, it'll be a Monsters Ball Match! Jacobs finishes by wishing Johnny Impact the best of luck, because he'll need it! 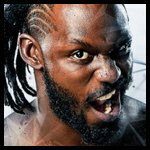 Cage was last seen on IMPACT last week when he challenged Fenix to an IMPACT X-Division Title match for tonight. Meanwhile, Fenix was last seen on IMPACT a few weeks ago when he & Pentagon Jr. defeated oVe in the main event. This match is a good match and the crowd is split between both men. Fenix starts the match off by attempting a hurricanrana, but Cage reverses it into a powerbomb. Cage throws Fenix into the corner and hits him with multiple knife edge chops. Cage picks up Fenix and attempts a military press slam, but Fenix reverses it into a hurricanrana. Fenix goes to the top rope and hits Cage with a moonsault. Fenix covers Cage, but Cage kicks out at two. Fenix runs off the ropes, but before he can do anything, Cage smashes him with a lariat. Cage attempts a gutwrench powerbomb, but Fenix reverses it into a sunset flip. However, Cage kicks out at two. Fenix attempts a springboard cutter, but Cage catches him and hits him with a running powerslam. The match comes to an end when Cage picks up Fenix and attempts his finisher, Weapon X (Gory special reverse STO), but Fenix reverses it into a hurricanrana! Fenix then goes to the top rope and hits Cage with his finisher, La Garra del Fenix (Meteora)! Fenix covers Cage and gets the three! We have a new IMPACT X-Division Champion! 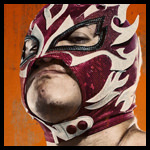 oVe show up and attack Fenix! Pentagon Jr. runs in for the save! Pentagon Jr. fights The Crists off as Callihan scurries out of the ring. Pentagon Jr. helps Fenix to his feet and both men stare down oVe as we go to commercials. 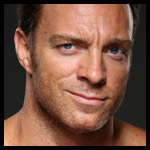 We're back and we cut to Eli Drake on his phone. Drake is talking to an unknown person until The Cult of Lee run up to him! Lee & Konley begin apologizing profusely to Drake for losing to those two local talents last week until Drake tells them to settle down. Drake says that if they really want to earn his support, they'll have to defeat LAX tonight! Drake finishes by warning Lee & Konley if they lose tonight, they're out of luck and they'll be forever known as dummies! Rosemary is standing in the middle of the ring! Su Yung freaks out at the returning Rosemary, who hits Su Yung with The Red Wedding (Fireman's carry facebuster)! Rosemary leaves the ring as Allie crawls on top of Yung and gets the three! 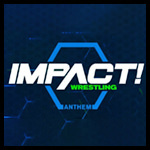 We have a new IMPACT Knockouts Champion! Mercedes gets a huge pop from the Toronto crowd as she struts down to the ring like she owns the place. Moon enters the ring and Allie outstretches her hand and tries welcoming her to IMPACT. 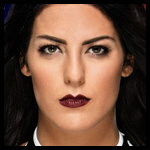 Mercedes responds by kicking Allie in the gut, hitting her with a backstabber, and transitioning that into a crossface! Allie keeps tapping out, but Moon keeps the hold in until security runs down and breaks things up. Moon holds up the IMPACT Knockouts Championship as we go to commercials. This match was made after an online promo from Rich Swann was interrupted by Petey Williams, who said that Rich Swann may talk a big game, but he can't back it up! This match is a good match and the crowd is solidly behind Petey Williams. Swann and Williams start the match off with a collar and elbow tie-up, in which Williams hits Swann with a suplex. Williams throws Swann off the ropes and hits him with a knee lift. Williams throws Swann into the corner and hits him with multiple knee smashes. Williams attempts a military press slam, but Swann wiggles out of it and hits Williams with a dropkick. Swann goes to the top rope and attempts a moonsault, but Petey puts his knees up. The match comes to an end when Petey attempts the Canadian Destroyer, but Swann reverses it into a hurricanrana! Swann then goes to the top rope and hits Williams with his finisher, the Phoenix Splash! Swann covers Petey and gets the three! 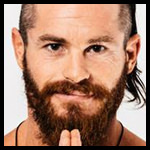 Matt Sydal runs down to the ring and attacks both of them! Sydal hits Petey with a superkick before hitting Swann with a hurricanrana. Sydal then puts both men next to each other on the ground, climbs up the top rope, and hits both men with the Shooting Sydal Press (Shooting Star Press)! Sydal stands tall over both men as we go to commercials. LAX were last seen on IMPACT last week at a block party celebrating their victory over The OGz, however, The OGz showed up and hit a kid with a car! This match is a good match and the crowd is solidly behind LAX. Ortiz and Caleb Konley start the match off with Ortiz hitting Konley with a lariat. Ortiz throws Konley off the ropes and hits him with a back body drop. Ortiz attempts a powerbomb, but Konley reverses it into a tilt-a-whirl headscissors. 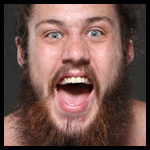 Konley tags out to Trevor Lee, who hits Ortiz with a missile dropkick. The match comes to an end when Lee attempts Eli Drake's finisher, the Gravy Train (Over-the-shoulder back-to-belly piledriver), but Ortiz reverses it into a powerbomb! Ortiz then tags to Santana and they hit Lee with their finisher, the Street Sweeper (Powerbomb & Blockbuster)! Santana covers Lee and gets the three! After that match is over, we cut to a bar room where The OGz are seated. Hernandez starts by saying that it was pretty messed up what happened last week to that kid that King ran over. King snaps and says that Hernandez should stop acting like a little b****, because that kid was in a warzone, he was a casualty of war! King says that Hernandez & Homicide better start acting serious, because they are still at war against LAX. As soon as he says that, he gets a phone call. King looks at the caller ID and gives a look of shock. King answers the phone and says that he'll meet with the person on the other end of the phone next week! 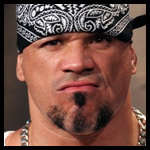 King finishes by telling Homicide & Hernandez that he has an ace up his sleeve. 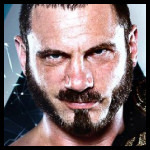 Last week on IMPACT, Eddie Edwards cut a promo before being attacked by Austin Aries & Killer Kross. After a short beatdown, Moose made his return and ran down to the ring for the save, setting up this match. This match is a good match and the crowd is solidly behind Edwards & Moose. Eddie Edwards and Austin Aries start the match off, but Aries decides to just tag out to Killer Kross to start things off. Edwards tries hitting Kross with a lariat, but Kross grabs him by the neck and hits him with a chokebomb. Kross throws Edwards off the ropes and hits him with a big boot. Kross attempts a chokeslam, but Edwards elbows him in the head and hits him with a German suplex. Edwards tags out to Moose, who hits Kross with a leaping shoulder tackle. Moose throws Kross off the ropes and hits him with a big back body drop. The match comes to an end when Kross tags out to Aries and Moose tags out to Eddie. Eddie and Aries start beating the living hell out of each other until Edwards catches Aries with an olympic slam! Edwards then locks Aries in an achilles lock! 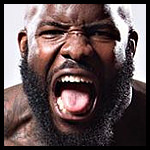 Before Aries can tap out, Moose gets in the ring and starts attacking Edwards!!!! Edwards asks what the hell Moose is doing, Moose responds by hitting Eddie with a spinning backfist! Moose grabs Aries' lifeless body and throws it on top of Edwards. The referee counts the three and gives the victory to Aries & Kross. PAUL HEYMAN APPEARS ON THE RAMP!!!!! The crowd explodes at the sight of Heyman and after a short pause to soak in the cheers, Heyman begins to speak. 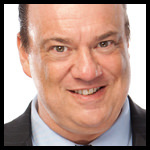 Heyman says that he should introduce himself, his name is Paul Heyman and he is the new General Manager of IMPACT Wrestling! Heyman says that he's here to lay down the law and that starts next week when Eddie Edwards & two partners of his choosing will face Austin Aries, Killer Kross, & Moose! Heyman finishes by saying that IMPACT will never be the same once he's done with it! IMPACT comes to a close as Aries, Moose, & Kross all stand in the ring, looking very confused. Popularity: Increased in 43 Regions. 10) Gentleman Raven- 1 Pt. Thank you to everyone for your predictions/comments! Next IMPACT card will be up tomorrow! Comments: Hmmm. This might go into a no contest or dq, but I feel LAX will show up no matter what. Comments:Sorry ?? ?, but Brian Cage is a machine. Comments:Momentum for Aries and his boys. Comments: Only thing I like about Grado is that angelic theme song. Comments: I find her quite attractive in a strange way. Comments: Please don't screw him over like EVERYONE else did. Comments: Still, gotta make Cage look good. Just lost the belt, has to regain some momentum. Comments: 6 main is the easy way to give the faces the win. Champ can lose without taking the fall! Bro, you should sign Crimson. A very strong first show man already digging this. Comments: Rosemary has just returned and while both could use the win,Tessa didn't get pinned she'll get back on the horse eventually. Comments: This is a no brainer imo Kong has very little redeeming qualities unless you want to attempt to make him the new Abyss I guess. Comments: 50/50 booking! 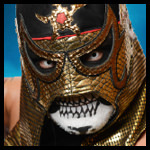 but also in a no stakes tag mach it's a easy and good way to give the faces some steam. 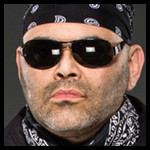 Comments: It had better be Matt Silva - he's just a fantastic talent in ring - you might want to pair him with Scarlett Bordeaux though because out of the ring he's … hmmm …. bland. Comments: If the Luchas lose I riot! Who is ??? : The former Murphy from WWE NXT. [b]Bro, you should sign Crimson. I did really like his team with Jax Dane back in 2017 (Veterans of War), so they might be back. It's either that or rehiring Amazing Red and reuniting the brothers! Thank you to everyone for your predictions/comments so far! Make sure to get them in if you haven't already, because this is a 24 Hour Prediction Warning! I didn't do so well in that first prediction contest. Maybe I will do better this time around. Though I tend to make my predictions based on who I want to win, rather than who I think will actually win. Comments: The who-cares match of the night. 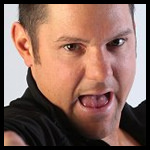 I always fast-forward through the Grado segments when I watch Impact. The OGz sometimes get a little fast-forward as well. Comments: Rosemary's return will probably get her a victory. 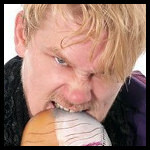 However I see this going to a no-contest, setting up some type of gimmick match in the future. Comments: Johnny Impact all the way. Though Kongo Kong could be made into a huge monster one day. Comments: He's not a man, he's a machine! Comments: I will forever not be selecting Aries to win in any diary.